With Easter so early this year, it’s easy to forget about April Fools Day. 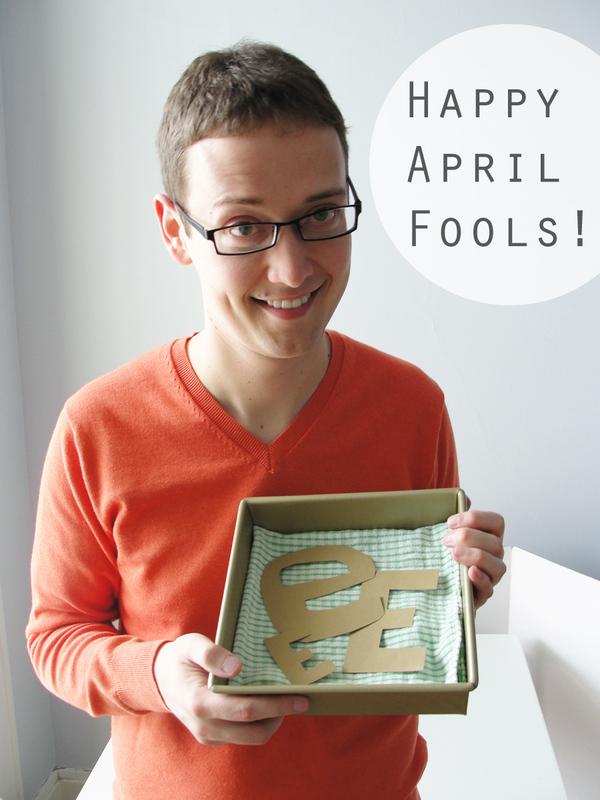 If you’ve completely forgotten, but you still want to “get” someone today with a harmless and easy April Fools prank, I’ve got the perfect idea: bake someone paper brownies. 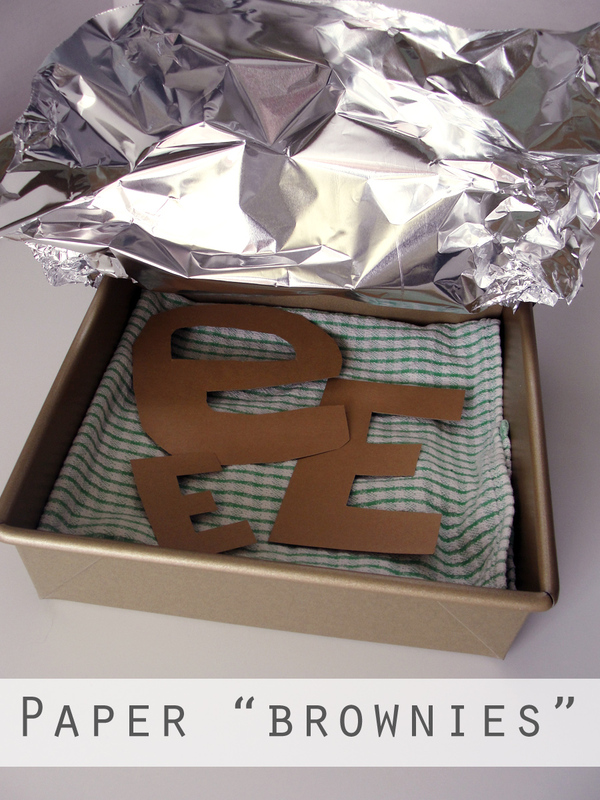 All you need for this is some brown paper, scissors, an opaque cooking pan, and aluminum foil. Cut your paper into upper and lower case letter E’s. 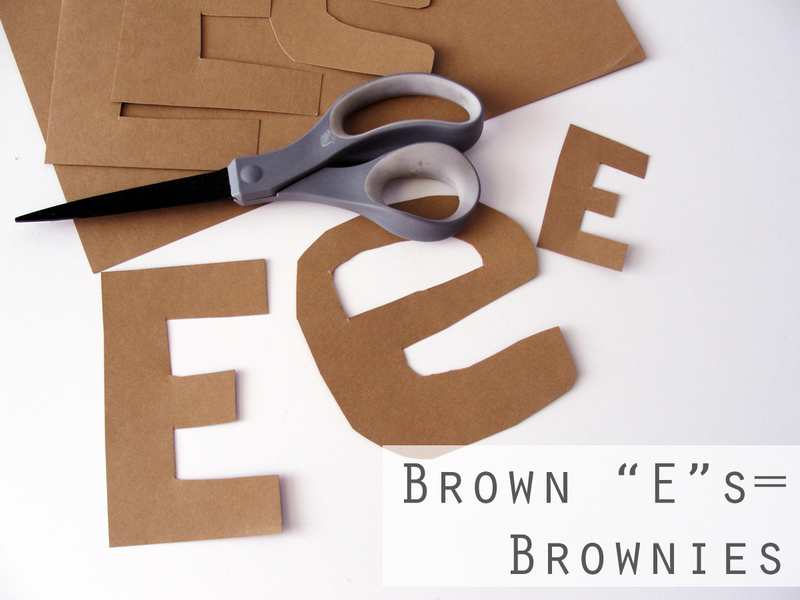 Who knew making brownies (“brown e’s”) was so easy! Just stash your letters in the pan and cover them up. You might want to put something with a little weight on the bottom of the pan, like a dishtowel, just to give the plate some weight. Now you just need to offer someone some delicious, homemade brown “E”s. It’s not your fault if they thought you said brownies.